If you love music as much as I do, you no doubt want a pair of headphones that will be music to your ears. 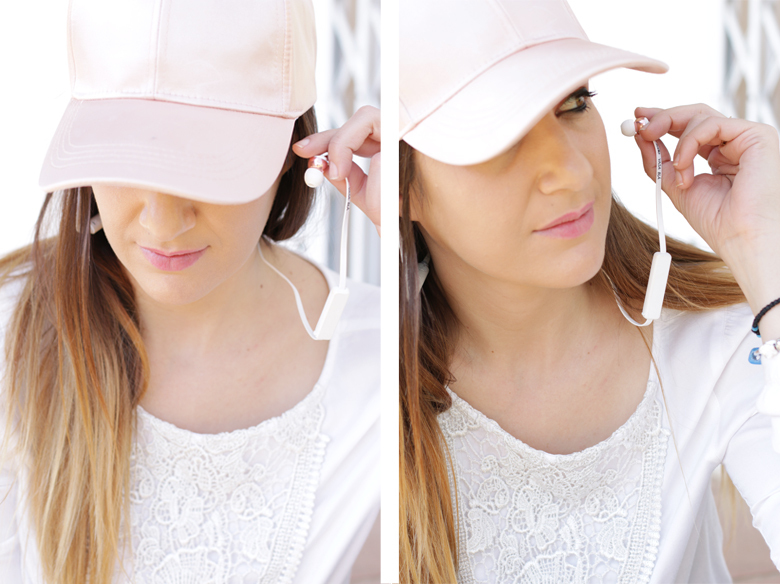 Nothing is worse than crackly sound, or earphones that feel uncomfortable – that’s why I’ve been loving both pairs of my Sudio Sweden headphones so much – and for different reasons. Stick around as today I’m going to tell you more about why I love them, PLUS I’ve got a special discount coupon for all my lovely readers, so that you can enjoy 15% off the retail price (for a limited time). 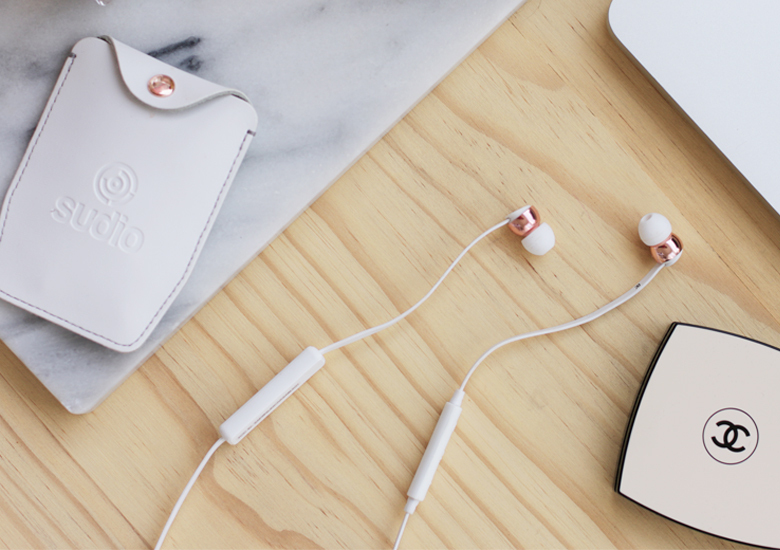 Sudio is a brand of high quality earphones designed in Stockholm. They provide crystal clear sound and look super sleek and stylish, whether you’re wearing them at the gym or on the street. They are really well made; minimalistic yet stylish, practical yet functional, with high quality details and finishing that make them the earphones to have! For me, I like to have both On-Ear and In-Ear headphones. On-Ear for using at home, watching Youtube or when I travel, and In-Ear to keep in my handbag for those “I wish I had music” situations and when I’m working out. Sudio’s On-Ear headphones are called REGENT (currently R2 250 – less 15% if you use my discount code) and they are my absolute favourite! I’ve been looking for a pair of wireless bluetooth headphones that are comfortable, and these are perfect! They produce crystal clear sound; where each instrument is enhanced, voices are clear and each note in the music is defined. They aren’t too basey – and more pleasurable to listen to than earphones that produce too much base. I wore them on the plane recently and they did a great job at cancelling out external noise. In terms of comfort, the ear cups don’t add too much pressure to my ears and the leather band is comfortable to wear. So comfortable, that I forgot I was wearing them. My Beats always felt a bit plasticy – like I had a helmet on my head. Not to knock Beats or anything – they do make good headphones, but they are just too plasticy and heavy. The REGENT headphones are completely wireless and link up to your phone (and other electronic devices). Each charge lasts about 24 hours – so you have plenty of listening pleasure. Charging time FYI can be a quick 10 minute boost, or if you want to fully charge them, leave them to charge for 120 minutes. For the plane, they come with an audio cable so that you can plug into the on-board entertainment which is also handy to have if you want to play music from your computer without bluetooth. They fold up really nicely, so you can keep them compact and if you want to add your own unique style to your earpiece, you can customise them with interchangeable caps. How gorge are these marble caps? They come in white and yellow gold (like mine) or a really elegant and sleek black and gold version. In hindsight, I think the black and gold ones would’ve been better becuase they are easier to keep clean, but the white are just so pretty, I couldn’t resist. Then, another great choice are the Sudio In-Ear Vasa BLÅ earphones (currently R1530 – less 15% if you use my discount code). These are wireless and again, connect to your device via Bluetooth quickly and easily. One of the things I noticed with my earphones-of-the-past, is that they didn’t come with a carry case, which ultimately led to a big tangled mess in my handbag. The fact that Vasa BLÅ are not only wireless (which means no cables to get knotted), each pair comes with a beautiful leather pouch to keep them pretty and safe for on the go. Colour options on these vary a little more; besides my white and rose gold pair, they come in black and rose gold (with a black leather pouch), blue and gold (with black ear buds and a blue case) and pink and gold (with white ear buds and a blush pink leather pouch). Each set comes with 4 pairs of extra buds (so you can get the perfect size for your ear) and a metal clip, so you can secure the band when working out. You can wear the band in front of your neck, or behind, what ever you feel more comfortable with. I like to wear mine behind my neck, which prevents dangling. Plus then, when I need to take them out, they sit quite comfortably around my neck. The sound quality on these is again, crystal clear and really good quality. I am never without these babies! 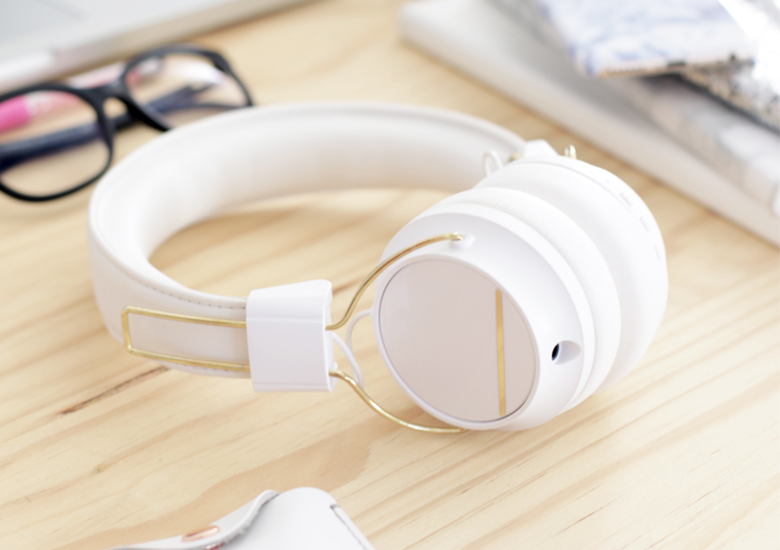 Sudio Sweden headphones are sold through their HQ website in Stockholm, but unlike a lot of online overseas retailers, they’ve considered us in South Africa as well! When you add your favourite Sudio earphones to your cart, before you check out, it automatically deducts the TAX from your order. Since it’s an imported item, you may get charged customs duties when it arrives in South Africa, so it’s nice to know that you’re not paying unnecessary TAX in Europe as well. I wish all overseas retailers considered us! Be sure to check out the selection on www.sudiosweden.com and pick your favourite pair! For a limited time period you can use my discount coupon STYLESCOOP15 (applied on checkout) and you’ll receive a 15% discount on any pair you choose. But wait there’s more (I’ve always wanted to say that hehe)! At the moment, Sudio are offering a free marbled phone case (for most popular smart phone models) with every purchase (valued at R429), so if you want to take advantage, not only the discount offer but the freebie phone case, now is the time! Shipping is super quick! I think I got mine in 4 days which was pretty amazing! And if you choose their express shipping (4-6 business days) shipping is free, otherwise for Express Gold, shipping is R69.